Grape seed is a spectacular antioxidant. It protects the body aganist the radicals formed itself or outsorced. The axidant property is more powerful 20 times than vitamin C and 50 times than vitamin E. It provides nourishment to the skin by integrating depth with the skin. It s effective in eliminating the sing of aging and lines on the skin. It is regenerating skin with vitamins and cellproperties in components. It improves the appearance of fresh skin, raises the brightness. It is an effective daily care cream. 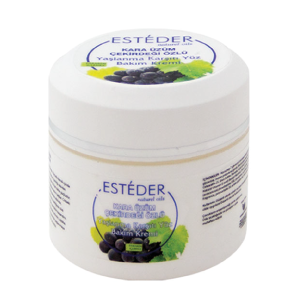 ıt is also an excellent product to help having anti-aging effect thanks to arbutin, jojoba, sheabutter, avocado oil and cinnamon oil in the content.